Mining technology varies from manual to mechanized techniques. Traditionally, hand tools were used to do the extraction process. The gold pan is still a characteristic tool that is used by almost all small-scale miners, especially in the prospecting and final concentration phase. Nowadays, with more modern equipment one can mine in places where manual mining is not possible. For ages the Amazon has been inhabited only by indigenous communities. Their direct environment was naturally their territory. Only since recent decades, the Amazon region has gained the interest of governments, companies and other individuals for its natural resources and space. Conflicts around mining concessions often become complicated when local communities claim their right and their original territories have not been formalized by law. Governments often give priorities to large multinationals, seeing chances for the economic development of the country. The first phase of the GOMIAM project, from 2011 to 2013, has been dedicated to a comparative analysis of the different political and environmental situations in Bolivia, Peru, Brazil, Colombia, and Suriname. This has led to various publications. As knowledge network we’d like to share relevant studies and information. Can small-scale gold mining be sustainable? In 2010, the international Fairtrade-Fairmined Gold standard was introduced by Solidaridad, partner of GOMIAM. It sets criteria for responsible gold mining like more efficient production, zero release of toxics like mercury, and safe working practices. Local partners of Solidaridad have been training small-scale mining communities, helping them to legalize their activities, form associations and build sustainable livelihoods. Certification gives access to new markets offering fair prices, allowing them to invest in the future. Read more about Health & Environment or GOMIAM Network. Natural resources are never adjusted to national borders. This allows us to analyze different national policies on the same gold. A good example is Madre de Dios, a river which runs through both Bolivia and Peru. In Bolivia, where small-scale miners are principally organized in cooperatives, the government recently installed a national institute as the only legal buyer of the gold. Will the miners conform to this? In Peru, the same region and river has attracted a lot of miners. There have been violent clashes between government troops and miners. Will a ‘mining corridor’ provide a solution? Read more about Borders & Regions. Gold as a symbol of wealth and prosperity has attracted people throughout all times. It is a scarce resource and highly demanded. People consider gold as one of the safest investments in times of financial crisis. In the last years the gold price has increased dramatically, causing a new gold rush! It has attracted a lot of new people into the Amazon to try their luck, but as a consequence caused lots of problems and conflicts about territories and pollution. GOMIAM aims to create a dialogue between small-scale miners, local communities, politicians, NGO’s and academic experts that are involved in artisanal and small-scale gold mining. GOMIAM organizes platform meetings to bring together stakeholders to discuss local issues, as well as interregional and international events. Interested in joining? Click here for more information. 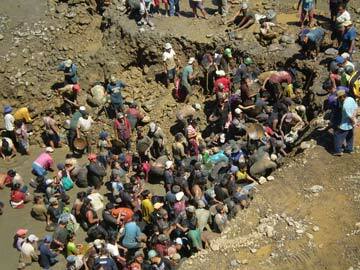 Small-scale gold miners do heavy physical work. They make long days standing knee-deep in the water under a scorching tropical sun. Many of them suffer from skin problems. The stagnant water attracts mosquitos, making malaria a big problem in small-scale gold mining regions. On top of that the use of mercury involves real health risks. Most of the miners don’t use any form of protection. In Suriname, about 75% of the miners are Brazilian. Small-scale gold mining is a cross-border phenomenon. The mineral deposits are not hindered by the political frontier between nations, and in many cases the same goes for the miners. As the gold fields are often located far away from the national power centers, in densely forested and poorly accessible regions of the country, there is little border control to register the movements of persons and goods. Most of the small-scale gold mining is done out of sight and is often considered illegal by national governments. Where gold mining laws are in place, they have usually been set up from a top-down perspective. For example, in Brazil in 2005 a region was declared as protected area where small-scale gold miners had been working already for decennia. Also, enforcement of the laws is often difficult because the activity takes place in remote areas, deep in the jungle. 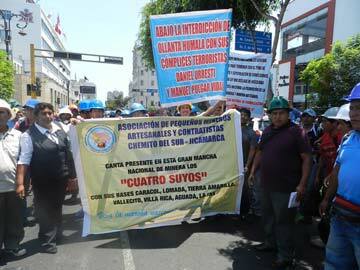 Local communities suffer of conflicts around mining. Governments have given large mining concessions, often to multinational companies, without the consent of local communities. Although these activities directly affect their habitat. 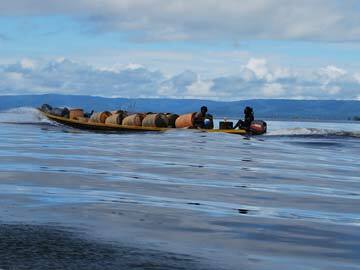 In some places, indigenous communities are in conflict with miners about the pollution of the rivers. In various other places, communities are mining gold as part of their traditional livelihood or working together with migrant miners. Small-scale gold mining and the use of mercury is in many countries illegal and policies are often inconsistent. Social factors like gold mining is a poverty-driven activity that provides a livelihood for thousands of people are frequently overseen. Small-scale gold mining mostly happens in remote areas and across borders, which makes it difficult to control it. In-depth local research in various Amazon countries has led GOMIAM to formulate policy briefs that take into account the social reality of the people in these localities. Gold mining techniques are becoming more and more mechanized. Still, mercury is being used by most of the miners to extract the gold. Heating the mercury-gold mixture can be done in a closed system, a retort, instead of in the open air. 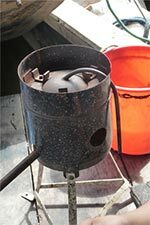 The retort catches the mercury vapor, which, after cooling down, can be re-used. Cheap and safer. Unfortunately, a lot of miners are not convinced yet and are afraid that a part of the gold disappears. Out of sight, is out of control..
Legal rights in remote places. Small-scale gold mining takes place across borders, but the nations make up for different legal contexts. There are some important differences in the rules around small-scale gold mining, for example around the conditions to get a mining concession or the duties that come with mercury use. Many Latin American governments see possibilities of mineral export for the economic development of the country, and stress the national importance of mining. However, oftentimes, priorities are given to large-scale multinationals, leading to conflicts with local communities and small-scale miners. 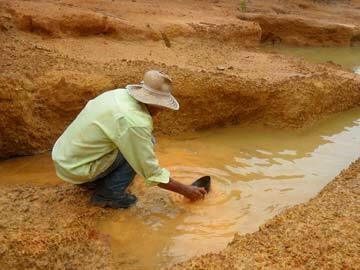 Time to see small-scale gold mining as a potential sector for sustainable development? GOMIAM aims to create a dialogue between small-scale miners, local communities, politicians, NGO’s and academic experts. GOMIAM organizes platform meetings to discuss local and regional issues. Interested in participating in our events? Click here for more information. Also, we invite you to follow us on Facebook and discuss the latest issues. Small-scale gold mining is a poverty-driven activity. It is estimated that more than 500,000 small-scale gold miners are active in the five countries studied by GOMIAM. Even more people indirectly depend on the sector by providing services to the miners. Worldwide, more than 100 million people in over 60 countries depend on small-scale gold mining, having few or no alternatives to sustain themselves. Defining their activity as illegal is no solution for this problem. read more about Conflict & Solution. Mercury is traditionally used in small-scale mining to retrieve even the tiniest gold particles that would otherwise wash away in the process. Gold binds with mercury. After operating, the two materials are separated again by heating it. 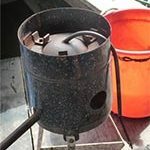 This vaporizes the mercury and leaves the solid gold, but also produces toxic fumes that cause serious health problems. Also, when fluid mercury is released into the environment, it can build up in the food chain. Local communities are worried. Is it still safe to drink water from the river? Read more about Health & Environment or Techniques & Safety. 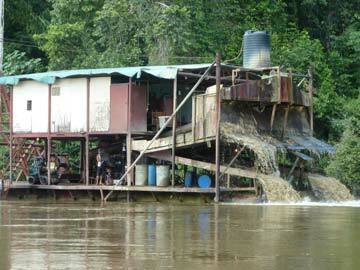 You’ve come to the right place for lots of information on small scale gold mining in the Amazon. From local cases to general themes, from recent news to short histories. Move your cursor trough the Amazon forest to go on a fact finding mission. Or use the various search tools to learn more about countries, themes and subjects. Please get in touch when you need to know more, want to give feedback or share your ideas.